The bill will come into force from 1 Jan 2020 and aims to level the playing field for national and international firms. A recent report noted that the Malaysian government plans to impose a digital service tax of six per cent on foreign digital service providers from 1 January 2020, according to the Deputy Finance Minister. The Minister was noted that the rate was deemed the lowest compared to the rate imposed in several other countries. For example, Norway introduced a digital tax in July 2011, at the rate of 25 per cent; Russia introduced the tax in January 2017, at the rate of 18 per cent, and New Zealand from October 2016, at the rate of 15 per cent. The digital service providers should have no problem to pay…because it’s only six per cent. If they can comply with Russia, Norway and New Zealand, the Minister sees no reason for why companies should refuse to comply with the rate in Malaysia. The deputy minister said this when winding up the debate on the Service Tax (Amendment) Bill 2019 at the Dewan Rakyat here. The Minister noted that it is unfair if only local digital service providers are required to pay the tax. This is not a new tax it’s just having the scopes extended to providers in other countries. It was noted that the government has the power to enforce the law even if the digital service providers were in other countries as there exists a government-to-government (GTG) cooperation among countries involved in the Organisation for Economic Cooperation and Development (OECD). This cooperation enables the Government to take legal action against foreign companies which refuse to pay the service tax. The Bill was then passed with amendments. 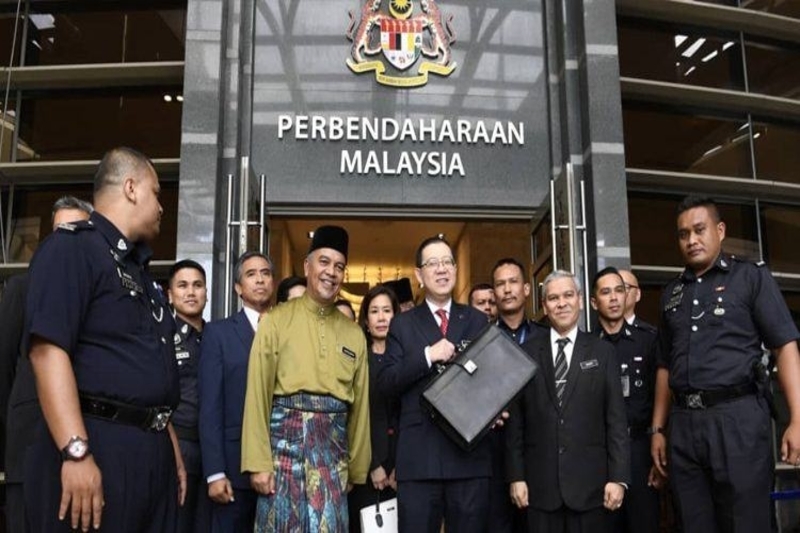 Another article on the topic noted that those that default could be fined up to RM50,000, imprisoned for up to 3 years, or both, upon conviction. Moreover, digital services like popular music and video streaming platforms will also be taxed. The Deputy Finance Minister noted that the tax applies to foreign registered persons providing digital services to consumers in the country. The digital tax aims to create and maintain a level playing field among local and foreign companies, as well as between online and offline service providers. It was emphasised that this isn’t a new tax. Local digital service providers are required to pay the tax and to extend this to providers that are based in other countries would level the playing field. According to the Minister, the Malaysian government has the power to enforce the law if the service providers are overseas as there is a government-to-government (GTG) cooperation among countries under the Organisation for Economic Cooperation and Development (OECD). The Bill was later approved by lawmakers setting the stage for Malaysia to be the second South East Asian nation to introduce a digital tax after Singapore. Under the Bill, tax defaulters can be fined up to RM50,000, imprisoned for a term of up to three years, or both, upon conviction. According to another article, the digital tax has made Malaysian start-ups nervous when it was first announced. The executive director and co-founder of a leading online payment gateway came out strongly against the introduction. His key concern is that Malaysian start-ups are not ready for such a tax, not when most are not profitable yet; introducing such a tax now could have dire consequences. He noted that taxing star-ups now may push some to collapse or seek other countries as their base, which will be a loss to the country. It may also hinder innovation and the growth of the industry at a time when international players are entering the market. Introduction of a new Capital Market and Services Act to approve and monitor digital currency and token market trading activities, which will be gazetted early next year. An RM50 million (US$12 million) co-investment fund, where the government will jointly invest with the private sector using alternative funding platforms, such as equity crowdfunding and peer-to-peer lending (P2P). Introduction of a property crowdfunding/P2P platform for first-time homeowners, regulated by the Securities Commission of Malaysia. The platform is slated for launch in the first quarter of 2019. Introduction of a RM 3 billion (US$721 million) industry digitalization transformation fund with a subsidized two per cent interest rate. This fund is intended for accelerating industries embracing smart technologies, such as robotics and artificial intelligence. Government-managed venture capital will be streamlined. Government matching grants will only be awarded to companies that can attract investments from the private sector.